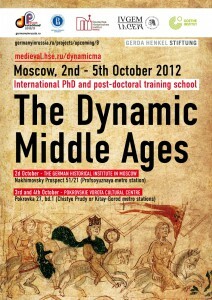 Following the first international doctoral and postdoctoral school on ‘The Dynamic Middle Ages’ in Moscow in 2012, the Centre for Medieval Studies and the Department of History of the National Research University Higher School of Economics (Moscow) will organize a second international PhD and post-doctoral training school on the same topic in Moscow from 7th to 10th October 2014. 3) In the summer or autumn 2016 at the Heinrich Heine University in Düsseldorf (Düsseldorf, Germany) with a focus on “Materiality and Production in the Middle Ages”. 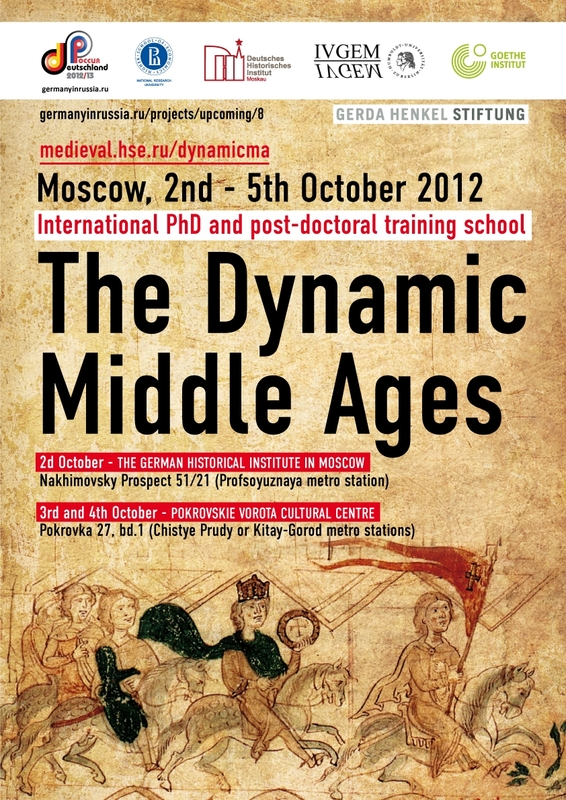 Applications are invited from PhD students in medieval history whose research is in the fields of West, South-East or East European studies, or in that of Byzantine studies. Their dissertation projects must be focused on dynamic elements in medieval cultures and societies. It is expected that applicants commit themselves to participating in all three phases of the training school, should they be invited to the next phases by the conveners. No further applications for the next phases will be required from those students taking part in the first course in Moscow. Language of communication for the programme is English. – Reference letter from the applicant’s supervisor or Head of Department. – take part in the second and third phases of the school in Sheffield and Düsseldorf if invited by the conveners.